The term Tathāgata has some meanings, but a Buddhism practitioner of austerities who "comes and goes in the same way" is the most common except pronominal meanings. 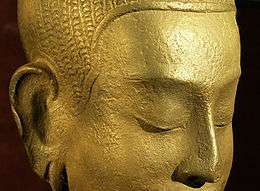 Although sūtras sometimes remind Buddhist that Tathāgata is arhatship, the rank of Buddhism is already insignificant and is in condition to exist as "being in such a state or condition" or "of such a quality or nature". Originally, it is called Tathāgata. Tathāgata is defined as someone who "knows and sees reality as-it-is" (yathā bhūta ñāna dassana). Gata "gone" is the past passive participle of the verbal root gam "go, travel". Āgata "come" is the past passive participle of the verb meaning "come, arrive". In this interpretation, Tathāgata means literally either “the one who has gone to suchness” or "the one who has arrived at suchness". Another interpretation, proposed by the scholar Richard Gombrich, is based on the fact that, when used as a suffix in compounds, -gata will often lose its literal meaning and signifies instead "being". 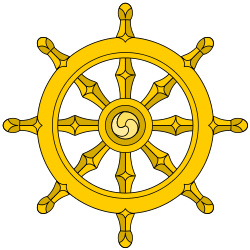 Tathāgata would thus mean "one like that", with no motion in either direction.